When I was writing my new novel Darkridge Hall, I had a bit of a strange thought. It's a paranormal novel set in rural Maine, and my thought was this: What if people think I'm just ripping off Stephen King? Many of his novels are set in Maine, and it's become somewhat of a trademark of his. But I feel I have a legitimate right to set my story there. For three years during high school, I attended a small boarding school in rural Western Maine. As with many things in life, my memories of my time there are probably a bit sweeter than reality. I did go through a lot of difficult times during my teenage years, and I have not forgotten them, but while it was going on, the bad seemed so much more immediate than the good. It was only with time and distance that I was able to truly appreciate how my years at that school shaped me and, for the most part, I feel that the overall influence was a positive one. I was introduced to and became interested in things that have stayed with me over the years. Would I have developed those same interests had I attended a different school? How different a person would I be today? How better--or worse--of a person would I be? It's difficult to answer these kinds of questions, and in some cases, it's difficult to even ask them. We all have regrets. We all wish we had done something different. And sometimes those regrets are so deep as to cause real pain when we think about what could or should have been. When I moved back to my home state of Arizona for college, I missed Maine. My fondness for it only grew stronger through the years, and when I attended my 10-year reunion several years ago, being back there, now as an adult, was an almost surreal experience. Many things were as I remembered them, but there were details I had completely forgotten. And the most stirring details were not visual, not something I could recreate by looking at photographs. They revolved around scents and sounds and the general atmosphere of the places I had once known so well: the way the stairs in the classroom building sounded as you walked down them; the scent of the library; the way the light filtered through hallways. The school and the town in Darkridge Hall were modeled on that school and that town in Maine, and writing it brought back a lot of those memories for me. As I wrote the scenes between Andy and his roommate Dave, I remembered meeting my roommates for the first time. When I wrote about Andy and Dave sitting in Mark Harris's classroom, there is a very particular classroom that I saw in my mind where I had spent some of my happiest hours. And the very feel of the town, the streets that the characters walk and drive along, the trails winding through the woods, the houses... all these things came from my experiences there. Of course, many details have been changed for the sake of the story, but this is my first major work where "write what you know" has had any real meaning. Because of this, it's also the first novel that I have a deep emotional connection to. 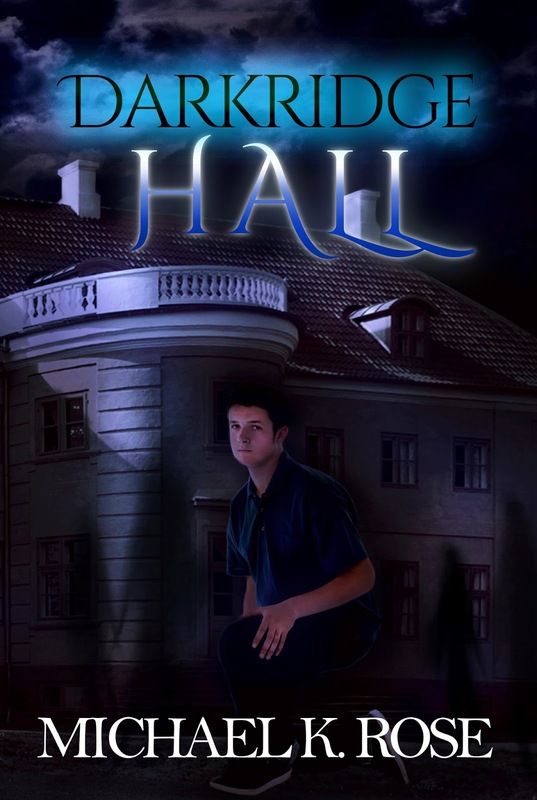 Because my connection to that school is firmly rooted in my adolescence, I made another choice regarding Darkridge Hall: I decided that it would be a young adult novel. I wanted to write for an audience who could understand the school the way I understood it. I wanted to preserve the way I felt about it. If you know Maine at all, Stephen King's Maine, you could probably guess that the school I attended is called Gould Academy and that the town is called Bethel. But if you don't know the school or the town, I hope that in reading Darkridge Hall, though dramatization it may be, you will find that the spirit of those places will be present. I hope my fondness for those memories will come through. DARKRIDGE HALL IS NOW AVAILABLE! An evil lurks in the depths of Darkridge Hall, and Andy, a new student at Kransten Academy, is about to meet it face to face. When threatening, shadowy figures appear outside his dorm room window, Andy decides to solve the mystery of just who or what they are. But those same shadows may be responsible for the strange deaths that have been occurring in the town of Bethlehem, Maine over the past several decades. As Andy, his teacher Mark Harris and police chief Charles Buck struggle to put the pieces together, they soon realize that the answer may come too late for them to stop the malevolent power behind it all. To read an excerpt from Darkridge Hall, please click here. 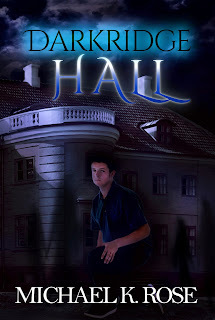 Coming August 9: DARKRIDGE HALL!